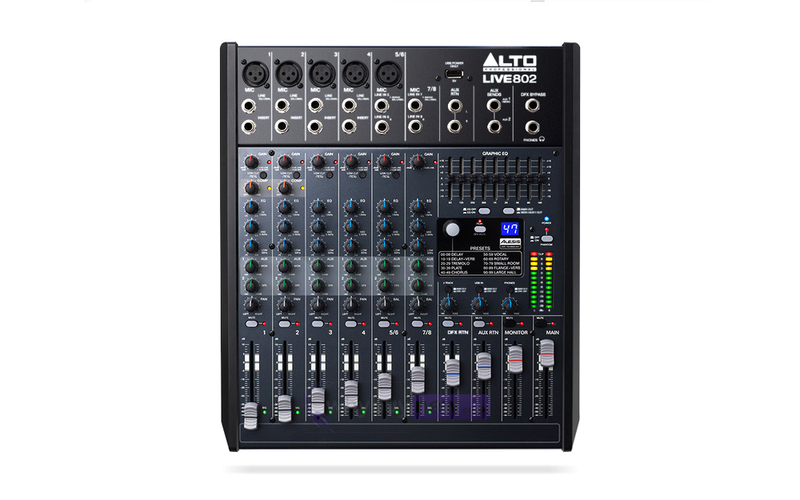 "Offering professional features such as quality mic pre's, analog compression, EQ, and flexible routing in familiar user-friendly format, our new mixers allow anyone to achieve a perfect mix-from the live sound novice to the experienced sound engineer," says Alto Professional Product Manager Paul Gallo. "A host of onboard and built-in features will allow anyone to shape a great-sounding mix quickly and easily." The panel graphics are clear and easy to understand. Microphone inputs (XLR) are equipped with DNATM preamps. Switchable phantom power allows for the use of any type of microphone. Select mic channels offer analog dynamic compression, each with individual control. Each channel features its own 3-band EQ-the 4-bus models add sweepable mids-and there is a 9-band graphic EQ that can be applied to the main or monitor mix. 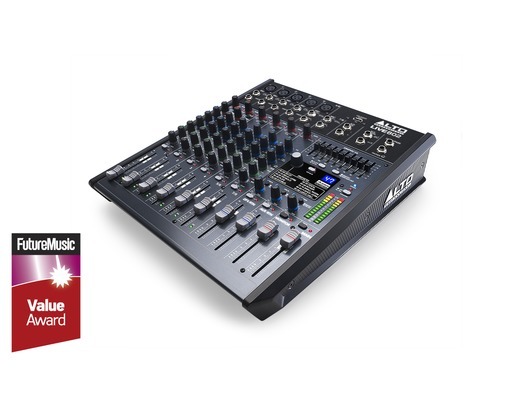 The Alesis DSP section provides 16 premium effects. Each offers 16 variations, for a total of 256 ready-to-use effects. Mono channels feature an XLR input, balanced 1/4" line input, and a TRS insert jack. Each mono channel offers a low-cut filter, gain control, a three-band EQ, a pan knob, mute switch, and a 60mm smooth-travelling fader. Stereo channels trade the insert jack for a second balanced 1/4" input. In addition to having two more send knobs, 4-bus models include a pre/post fader switch for the first two sends. 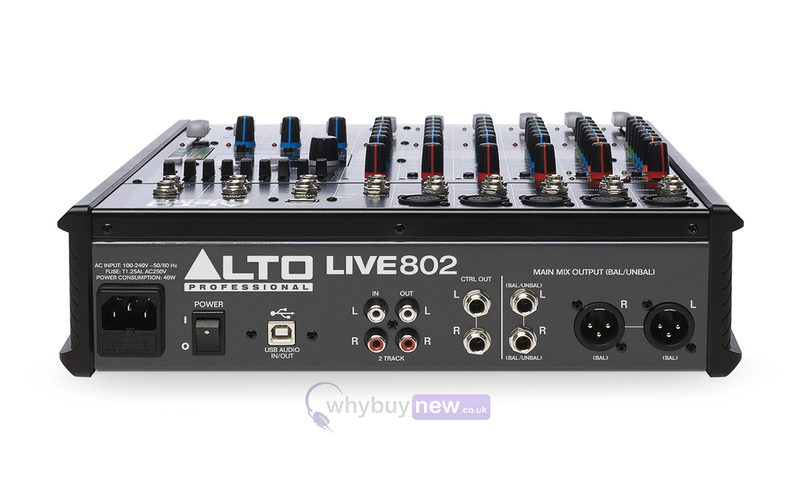 Designed for modern music-making, these new Live Series mixers feature USB audio in and out. 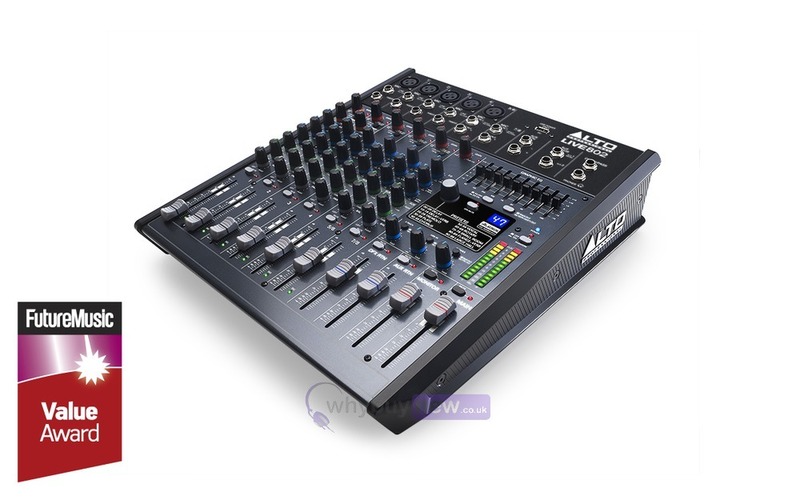 This 24-bit USB audio feature enables the stereo main or monitors mix to be recorded to a computer, or allows for the playback from a laptop or other USB audio source controlled by a dedicated level knob. A footswitch jack toggles the effects on and off. 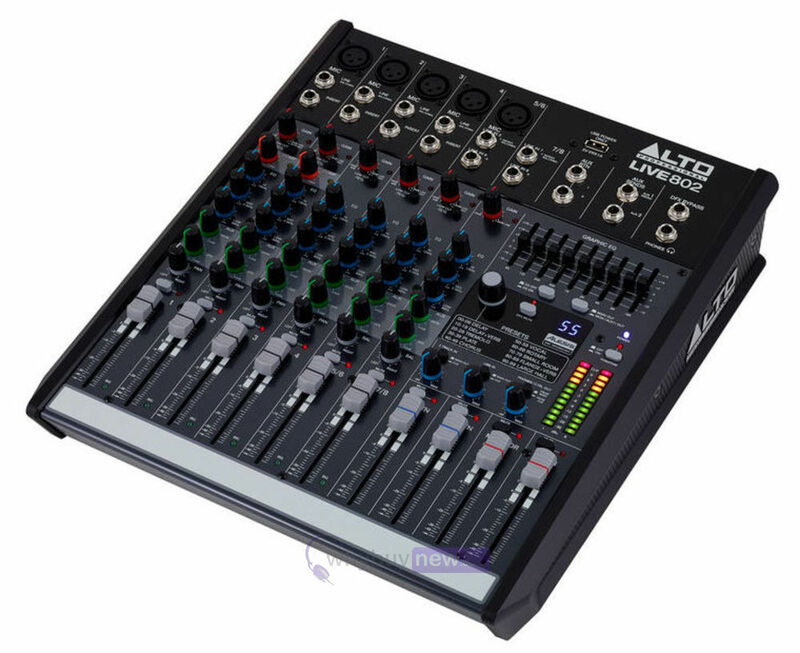 LED 12-step metering and an easy-access headphone out with independent level control help keep the mix under control.